What we have here is something that you’ll almost certainly never see in the streets nearby. The car here is the Eliica EV concept. 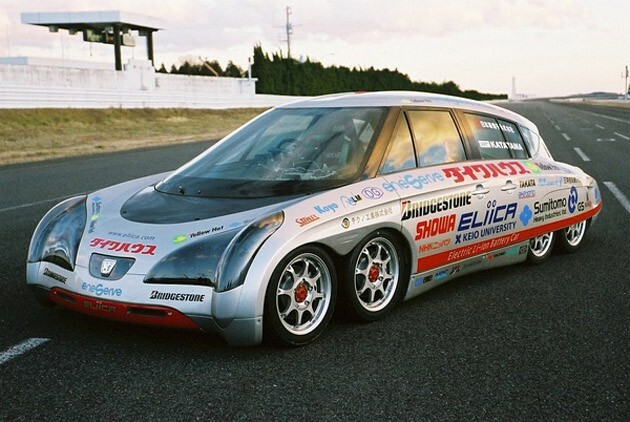 The Eliica EV is the brainchild of a Mr. Hiroshi Shimuzu and it is truly like no other EV. Why would I say that? Well, for starters, it looks a bit like the Citroen DS but is an eight wheeler. Secondly, each of these eight wheels has it’s own electric motor. So far it seems boring but if you give this car the berries you will hit 60 in under four seconds and continue accelerating all the way to a top speed of 200 mph. There is a problem though, the Eliica EV costs 5 million dollars. 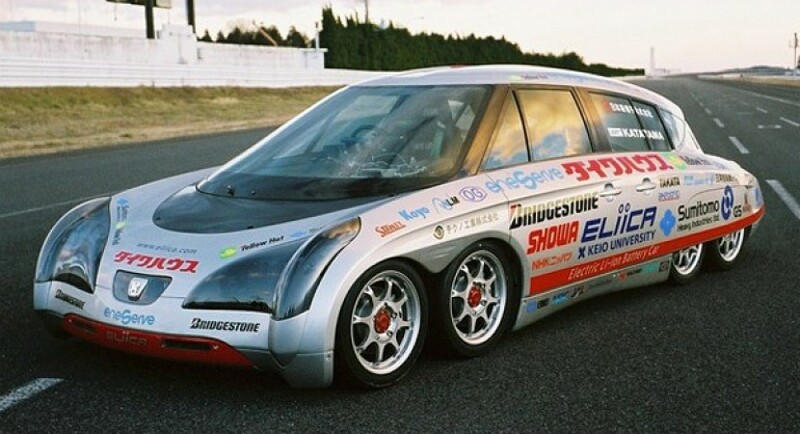 Happily, the company that developed it, Mr. Shimizu’s SIM-Drive claim they can scale down their platform to be used in a four wheeled four door sedan which should not only perform surprisingly but also cost not more than change. If the more conventional version of the Eliica EV would hit a production of about 100.000 units per year, the price should be somewhere around $17.500. To that you should add the cost of four electric engines and a battery but you should be all set at around $25.000. With a predicted range of around 200 miles a possible production Eliica EV would pretty much destroy the Nissan Leaf. That must be why Mitsubishi and Isuzu decided to each invest in this project. The sum they put in so far is a quarter of a million dollars which isn’t much but it’s a start.